Med-Tech Medical Billing is a service-oriented small business based in Chesterfield, Virginia, and opens its doors to clients across the nation. The company's vision goes beyond being a high-quality medical billing service and producing outstanding service to our clients. Services extend to establishing trust, loyalty, and respect with every client and maintaining the highest level of honesty and integrity in all business dealings. The company is committed to embracing new ideas and solutions, as well as exuding competence, collaboration, respect, and excellence, yielding proven results. 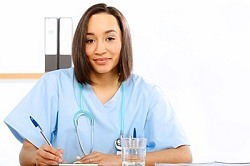 Med-Tech Medical Billing is owned and managed by veteran billing specialist, Kim Y. Pate. Kim brings her vast knowledge and experience with Medicaid to the company's foundation. She has worked for the fiscal agency that manage the MMIS system. Also, as a residential group home owner, Kim possesses a great deal of knowledge of the licensing process and can assistance you right up to the commencement of the billing cycle. For over 10 years, Kim has worked in the medical billing and technical trenches, and has obtained measurable success that directly contributed to the company's bottom line. Med-Tech Medical Billing provides comprehensive and fully integrated solutions for the financial, administrative and management challenges faced by medical providers and facilities. We are pleased to offer services tailored to the needs of each client.